It’s been a hot summer here in LA. We even had the hottest day EVER on record in my neck of the woods. 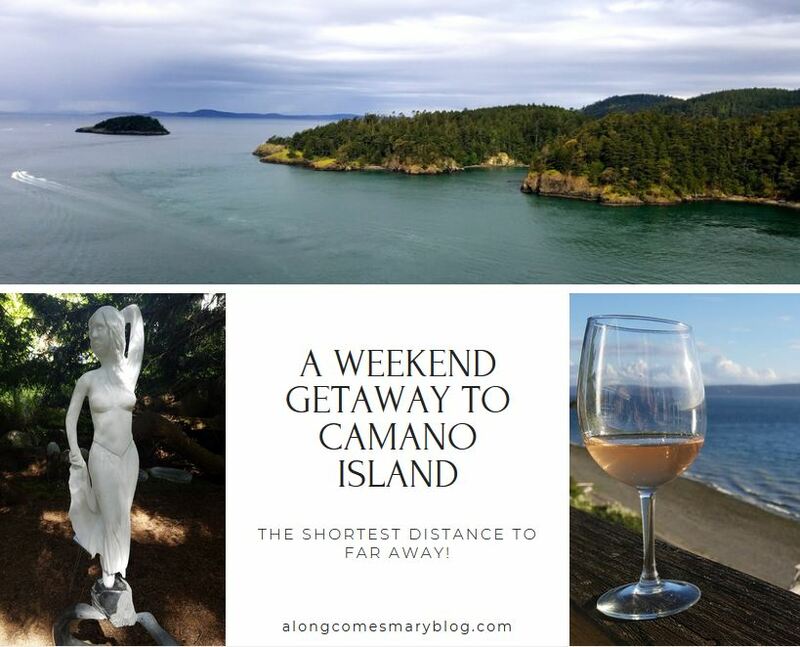 It got me thinking about my fantastic visit to Camano Island, Washington with the International Food, Wine and Travel Writers Association (IFWTWA). Everything was perfect. The weather, food, people, exploring. I began my trip thinking nothing will top Seattle, but instead? 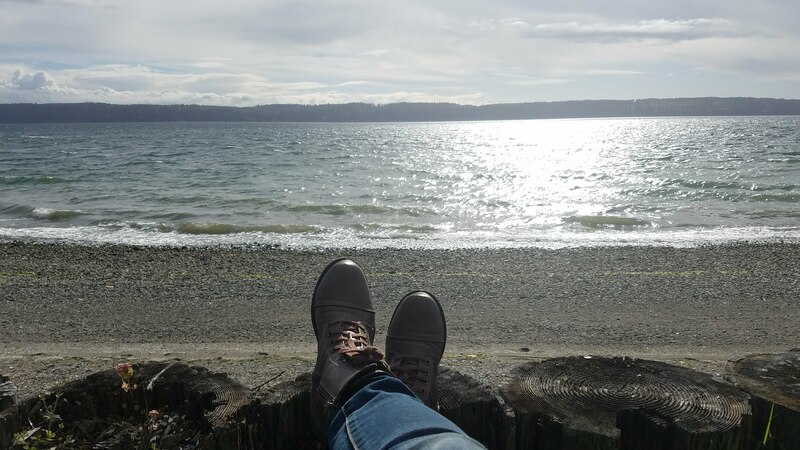 I left a piece of my heart on Camano Island. Just under 65 miles from Seattle (by highway 5), what was once a ‘hidden gem’ of Washington is fast becoming one of the top destinations for art, food and outdoor adventure. I had envisioned a rainy time in May, but instead was treated with gorgeous sunshine and blue skies. I even went so far as to pack too many sweaters and coats. If only we had that weather in LA today! 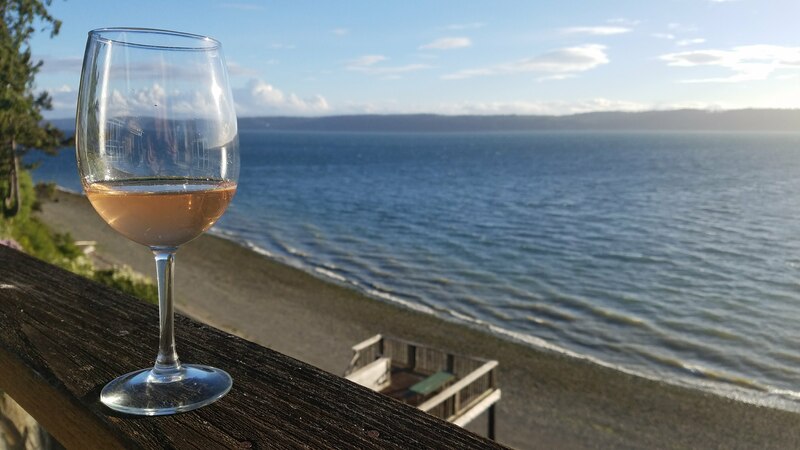 With just 8 rooms (7 over looking the ocean), Camano Island Inn Restaurant and Spa combines an oceanfront oasis with the charm of a bed and breakfast. With a private beach and trails, it was hard to sit back and relax in my spacious room. I just wanted to walk and explore as long as I could. One of my favorite things about Washington in May was the fact that it stayed light til almost 10pm. 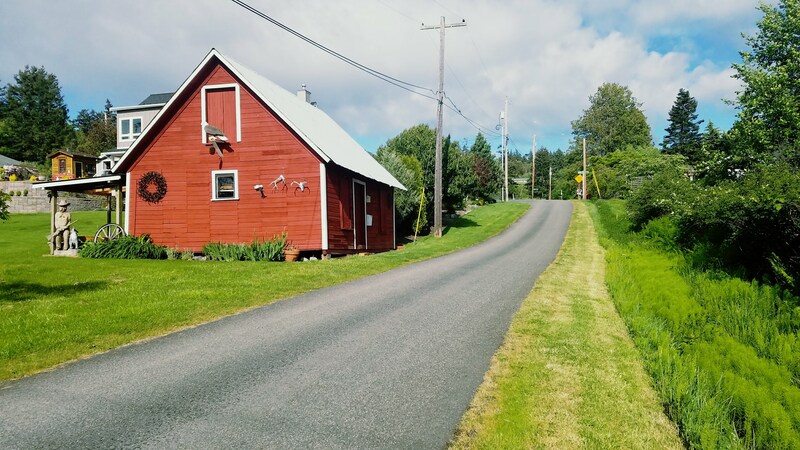 Located on Camano Drive, a winding road that made me feel a thousand miles away from it all, I was surrounded by not only a beach that felt like my very own to the right, but a beautiful neighborhood to the left. There can be something so, well, home-y when you’re staying at a resort like Camano Island Inn. I loved the priceless views and literally walking out my door and being steps away from my own private trail to the beach. I also appreciated the opportunity to walk through local neighborhood streets like Old Willow Lane and Orchard Road. Maybe it’s me, but one of my favorite parts of traveling is feeling like a local. While my room made me feel right at home on my overnight stay, so did the Inn’s region. 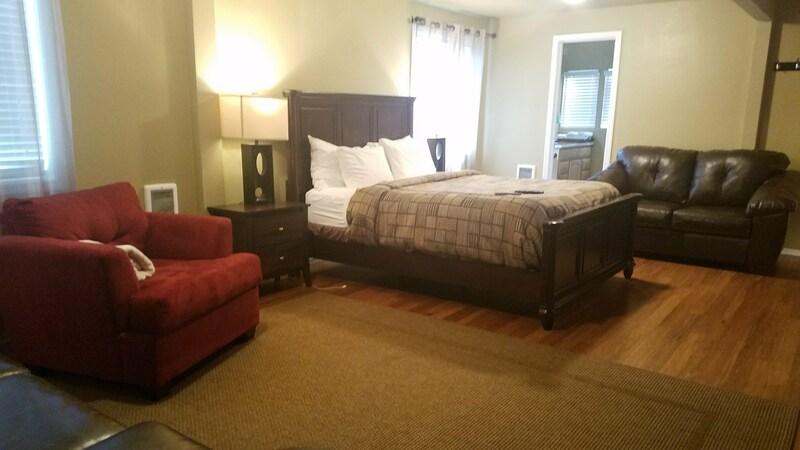 Welcome home to Camano Island Inn! Relaxing on my beach front! With a history dating back to the 1920’s, the Inn has seen several make overs through the decades. Starting out as a hotel, it became a private residence in the 1950’s and even had a phase as a nursing home. It’s been operating as a hotel, once again, since 1995. My room boasted an ample living area with a pull-out couch, Queen sized bed and a moderately sized-bathroom, shower only. Some rooms do feature a Jacuzzi in-room that faces your view of the ocean. Not too shabby, right? Definitely take advantage of enjoying a meal (or 2) at the Inn. We were treated to a fabulous 3 course dinner at Camano Inn’s private event room that’s over looking the spectacular ocean. Even though it was pretty chilly and windy, I couldn’t resist hanging out on the deck as I enjoyed my glass of wine from Edward Lynne Cellars, who were on hand for the evening. Cozy and intimate, the Inn’s bistro is just another great example of the strong farm to table mindset throughout the island. Chef Kieran O’Neill created a dynamic menu for our farewell Camano Island dinner, and they paired greatly with our wines. 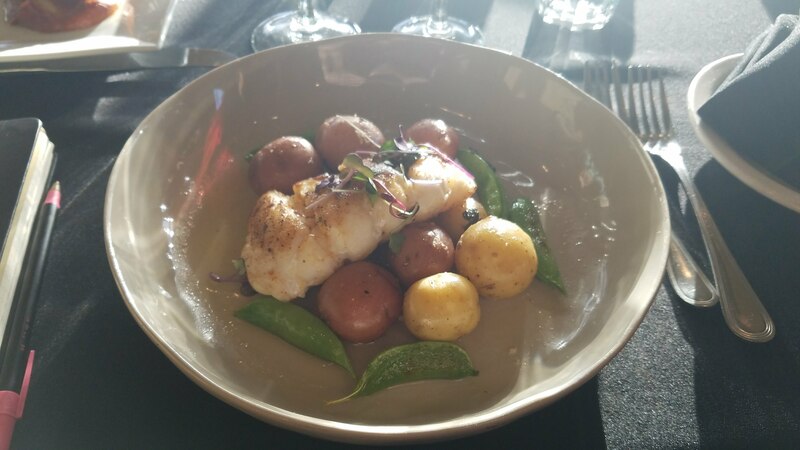 While sipping my Edward Lynne Rose, I savored every bite of my cod filet over a bed of fresh vegetables and potatoes. It was flaky and light while the potatoes made a hearty touch. With a picturesque view and wonderful friends and colleagues, you’d think the evening could not have been better. But, it was. 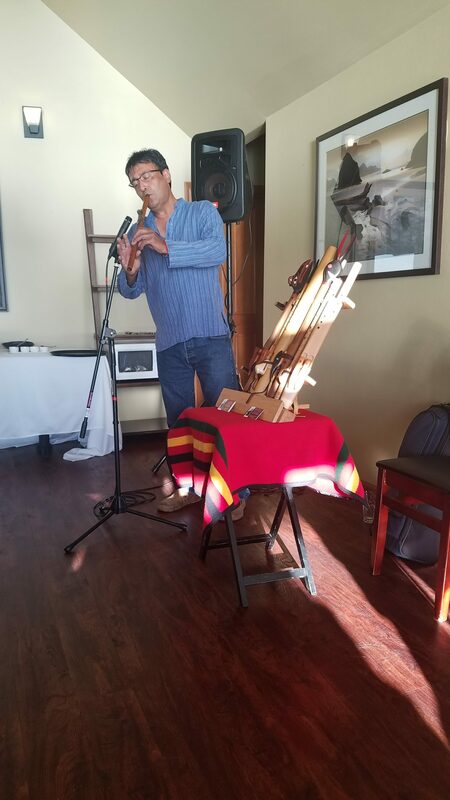 During our evening, we got to listen to the beautiful sounds of a Native American flute performance by local, Peter Ali. Ali, who has most notably played for the Dalai Lama, combines his Native American and Mexican roots to create beautiful, spirit lifting music. 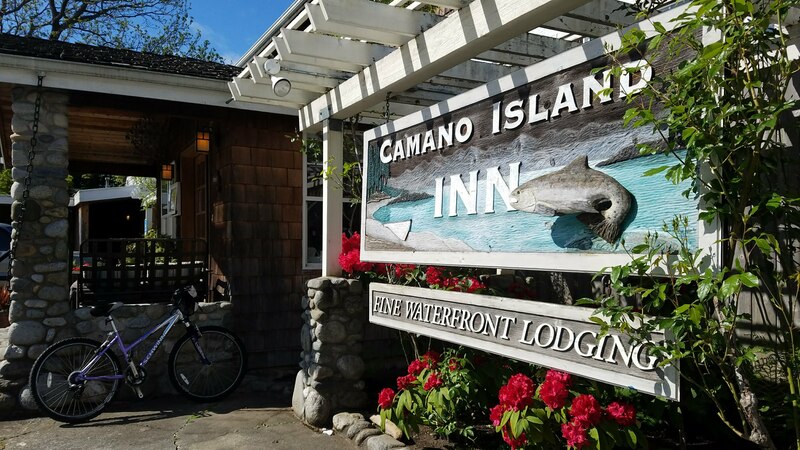 Open Thursday through Monday, reservations are recommended to dine at Camano Island Inn. Definitely confirm that they’re not closed due to a private event, as well. For those staying over at the Inn, you’re treated to a lovely continental breakfast you can enjoy in their cafe, or outside with the view. I only got to spend a limited amount of time at Deception Pass State Park, but I cherish my memories here. It’s unlike any other state park I’ve had the pleasure to visit. As I made my way down the trail to the Puget Sound beachfront, I felt as if I were in an enchanted forest, no joke. The shades of green were vibrant and diverse. While the views surrounding you among their 3,854 acres are a photographer’s dream. 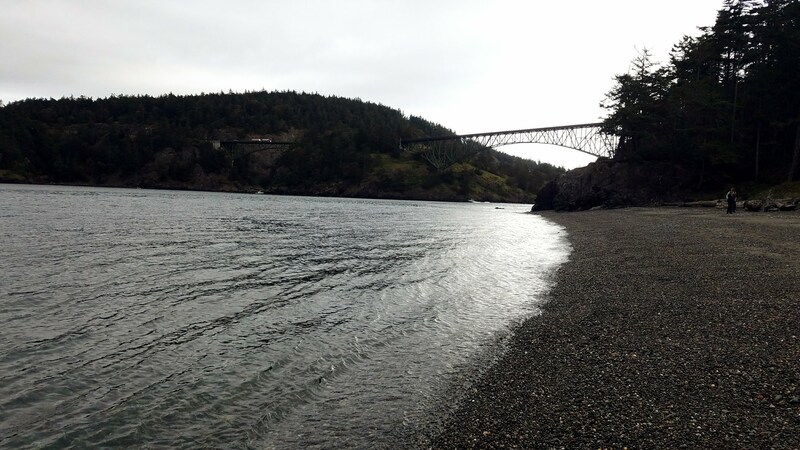 As was having the Deception Pass bridge to my right once we made our way down to the beach. Another fun fact:. The park is located on two islands; Fidalgo to the north and Whidbey to the south. 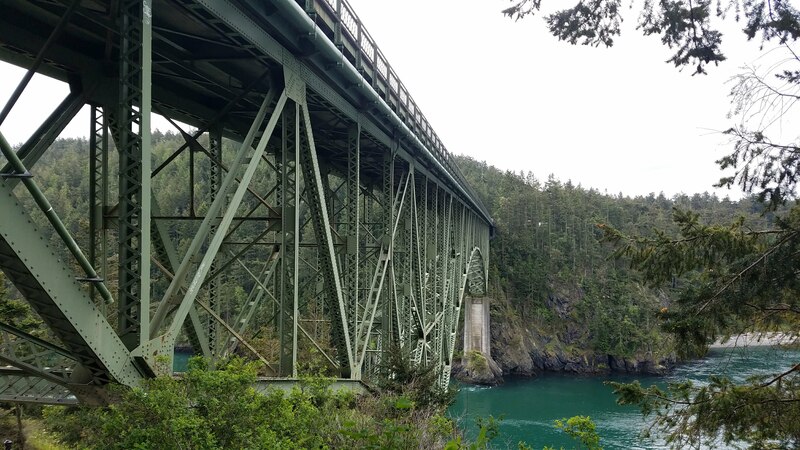 The Canoe Pass and Deception Pass bridges connect the islands, which creates a gateway for exploration. With so much opportunity to enjoy serene, tranquil moments, the park also knows how to get your adrenaline going. After walking over the bridge (and looking down to act like a toughie) and going down underneath, we had the pleasure of connecting with AdevntureTerra. AdventureTerra offers unique experiences for visitors to enjoy. How awesome would it be to say you have been in the top of a tree at Washington’s most visited state park? Well, thanks to AdventureTerra, you can make that happen. 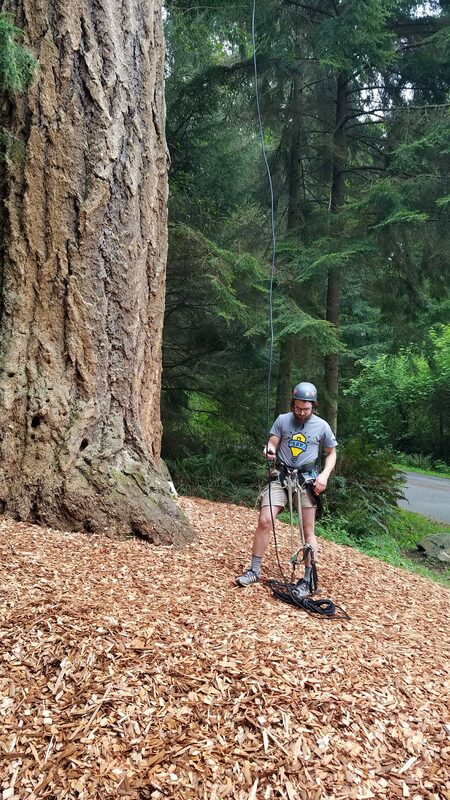 With their canopy climbing adventures, people as young as 7 can enjoy the fast-growing sport of recreational tree climbing. I was fascinated as we got to watch the process right before our eyes. AdventureTerra makes the art of canopy climbing up a tree look effortless. Since it takes about 4 hours, I did not get a chance this visit to feel the exhilaration of being in the top of a tree. Despite I am a bit of a wuss with excursions involving heights, I would love to try canopy tree climbing out. Since this is an outdoor sport, weather is everything. Usually, canopy climbing season is through November. My advice? Head out before summer ends if you can. The weather has been beautiful there. Remember when I introduced you to Camano Island Coffee Roasters a few weeks back? Well it just so happens that another locals favorite, Naked City Brewery, is right across from them. Naked City is filled with friendly vibes and an “everybody knows your name” kind of atmosphere. With the Camano Commons market plaza being where the “hub-bub” of the island happens, you’ll frequently find live music and events happening at the brewery. If you have the family in tow, are out with your honey, friends or just looking to enjoy some alone time, Naked City will make you feel right at home. In addition to an incredible selection of beers on tap for the beer connoisseur, they also have an extensive wine list to go with their menu. Often, breweries don’t get me too excited. Being gluten-free, I’ve found that much too often the food menu will go with their beer list and feature a lot of fried dishes. At Naked City, you can imagine how excited I was that several items were gluten-free and bread was also available. This was a great thing as I decided on their vegan beet burger with a mixed green salad. While this may sound ‘healthy’, it was one of the best vegan burgers I’d had in a long time. 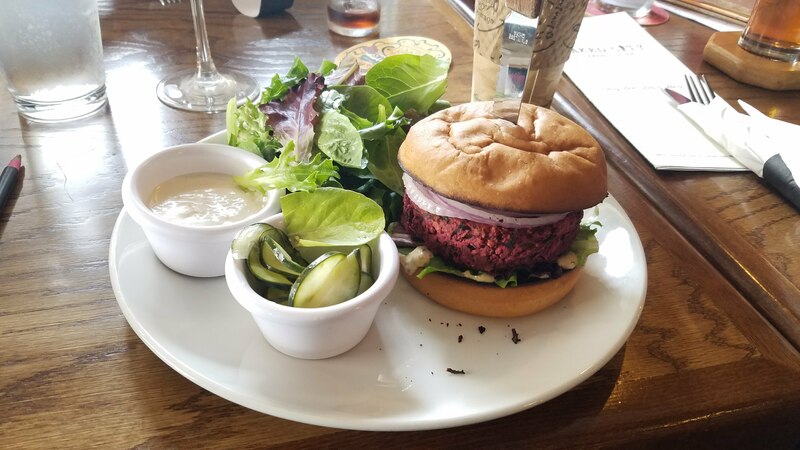 With greens, pickles, red onion and a stone ground aioli, it was my first time having a beet patty (surprisingly) and had me thinking, where has this been all my life?! With another location in Seattle’s Greenwood district, Naked City is an excellent choice for beer lovers and health-conscious diners alike. It would be my “place” if I lived on the island. 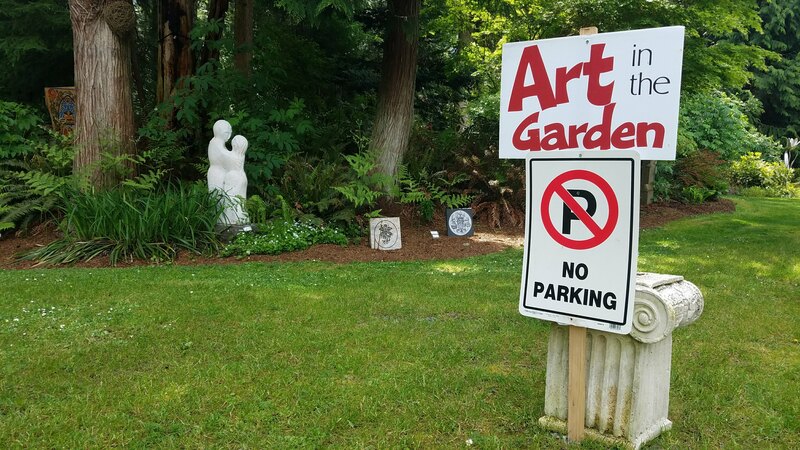 Along with incredible, fresh cuisine, Camano Island also has an impressive artists scene. This is just another fantastic reason to visit. One of the stops on our itinerary that has me most intrigued was our visit to Matzke Fine Art Gallery. One part art gallery, many acres of a unique sculpture park. While some may think of it as a park, others a gallery. Either way the 10 acre outdoor sculpture display at Matzke Fine Art Gallery on Camano Island is an experience. As you make your way throughout the “woods”, you follow trails and emerge into small pockets of art. The trails are lined with eclectic, unique artwork nestled among the Northwest foliage. Founder Karla Matzke, who has more than 3 decades of gallery owning on her resume, wanted to create something unlike any other gallery visitors have seen. Think of it as “approachable art”. At Matzke Gallery, one does not have to fear knocking something over or get the evil eye from a docent. 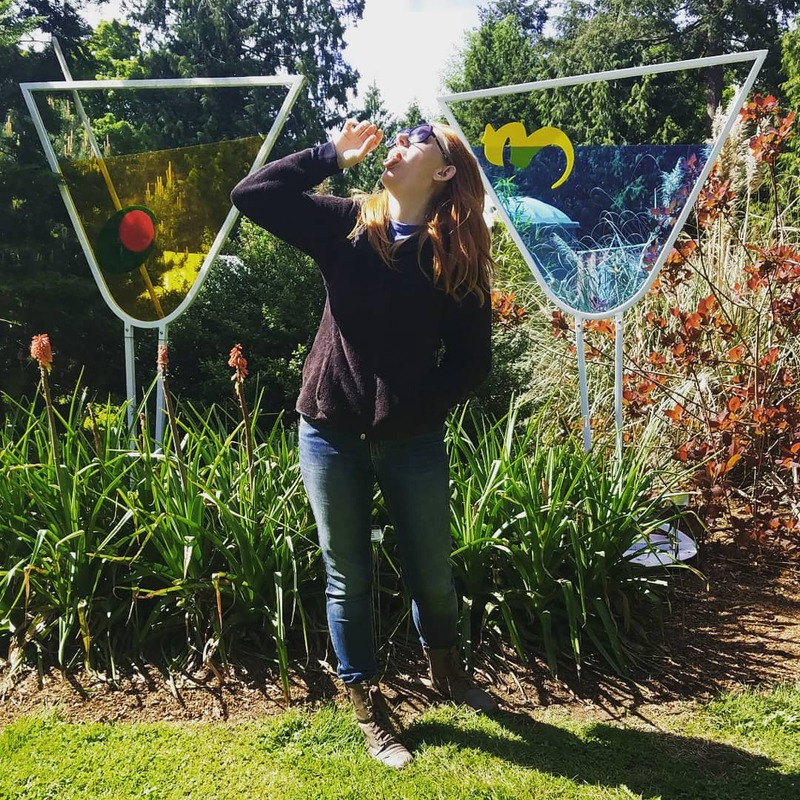 As you walk the trails outside, you’ll encounter few-ton sculptures and even fun life-size martini glasses.I felt like Alice in Wonderland as I explored this idiosyncratic artists space.